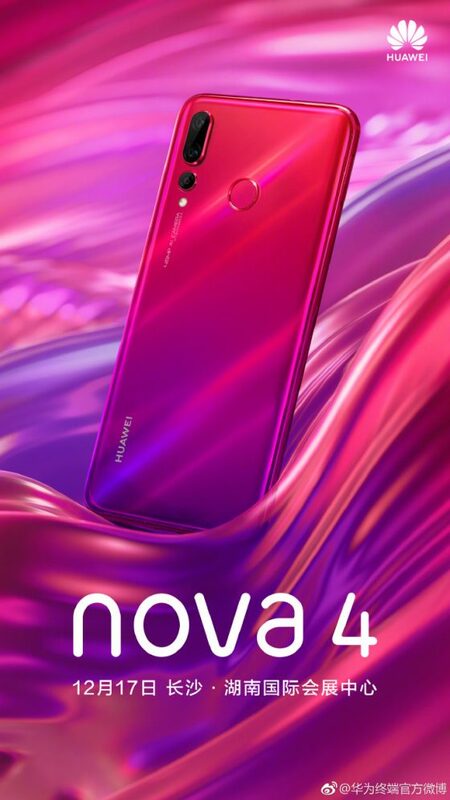 Huawei Nova 4 is now close. Recently, the smartphone was hosted on the TENAA website . We know that its premiere is close and will take place this coming Monday . Meanwhile, the producer heats up the atmosphere before his debut and has published a new teaser on Weibo. This is an official phone renderer, where you can see the back of the case. Huawei Nova 4 in the below renderer looks like a device that we could already see in the pictures from the TENAA website. It has a triple camera, where one of the sensors has a matrix of 48 Mpix. The other two are 16 and 2 megapixels. On the backs of the phone’s case you can also see a fingerprint reader. The price of the Huawei Nova 4 model remains a mystery. However, we know almost the complete technical specification of the telephone. Mainly thanks to the TENAA website, but not only . Technical data of the Huawei Nova 4 smartphone can be found below.